TravelLily: The Things We Have Already Learned! Over the weekend we pushed through buckets of rain to say goodbye to the grandkids on Vashon. Both of them showed off their soccer skills at games played totally in the rain. 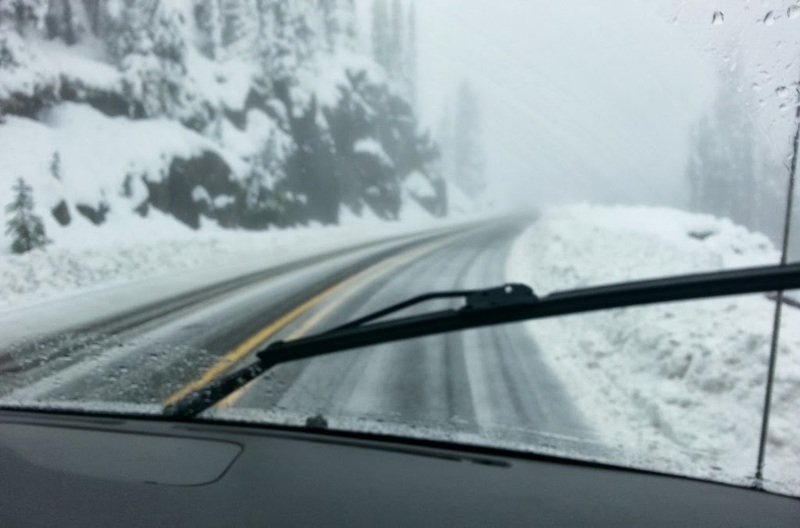 Yesterday we learned there is snow at 4,000 feet in the Cascades. Since the Chinook Scenic Byway is a few hundred feet about this altitude we discovered how well Lilypad handles in an inch or so of slush. 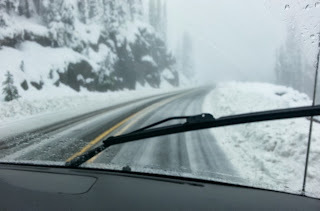 We were lucky to find a couple of WSDOT guys salting and scraping and they directed us on a better (albeit longer) route to Naches. We trundled into our berth at the vineyard that Shannon Borg so kindly found for us. Thanks! Today we explored the Toppenish Murals, learned about the feral horse problem on the Yakama Nation lands, and visited the Maryhill Museum. We are camped by the Columbia River tonight, enjoying the late peaches from the adjacent orchard.